It is amazing how thoughts swirl in my head, thoroughly “shaken and stirred” each day by rapid-fire changes in the worldwide economic picture. The downward spiral of global financial conditions is accelerating, to the point that TPTB’s only remaining “policy tools” are PRINTING MONEY and MANIPULATING MARKETS. I have been writing this for some time now, but the world’s politicians and Central Banks appear to be “stepping up their game” to new plateaus with each successive week, and in some cases daily. Come to think of it, I’m tempted to leave “politicians” off this list entirely, as it appears the BANKERS have completely taken over, grabbing the top headlines and making the most influential decisions. Yes, Goldman Sachs has indeed commandeered the world! A perfect example of such desperation is the following charts, published throughout the past year in numerous RANTS. When silver first approached $30/oz a year ago on “D-DAY,” it was a game-changing event in the PM markets, a key inflection point in the worldwide Central Bank battle to retain CONFIDENCE in fiat currency. As you can see by the top table, the frequency of violent PM attacks exponentially increased after that date, PARTICULARLY this summer. You know, during the “summer doldrums” – LOL. And wouldn’t you know it, the KEY EVENT catalyzing this “second wave” of violent PM attacks was silver attacking $50/oz, prompting the “SUNDAY NIGHT PAPER SILVER MASSACRE” ON May 1st. Do you see the not-so-subtle point I’m making about PHYSICAL silver, which was literally SOLD OUT in late April, EVERYWHERE! The vehemence of my belief in the WORTHLESSNESS of short-term technical analysis in manipulated markets is only matched by the strength of my belief in the validity of long-term technical charts, which in a sense are created by such intense manipulative actions. For example, the unrelenting effort to hold gold under $1,700 this fall has created a massive resistance level that, when broken through decisively, likely will serve as even greater support, possibly FOREVER. 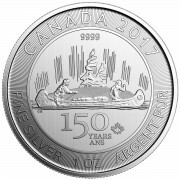 In the case of silver, which has not traded above $50/oz for 130 YEARS (except for a few hours in January 1980), the very long-term resistance is so powerful, that when it is shortly recognized, worldwide, as MONEY, silver’s rise will likely be the most explosive in the history of financial markets, in my view. Please note this chart is ten years old, and thus we have since scaled the $15-$30/oz resistance level of the past century, currently building a base in the $30-$50/oz range as we prepare for an explosive move above $50/oz which will likely be remembered as one of the most momentous in financial history. Sorry to have digressed from the bigger picture of this message, but I have been sidetracked by my bullishness for silver, which has lulled investors to sleep via the intense Fall attacks that commenced the MINUTE after the LABOR DAY weekend (when silver again threatened the key $50/oz level) and has not let up since, per the chart below which I started in September but have not updated because the attacks have been so frequent and furious this Fall. * Note THREE separate DEATH STAR attacks required within 20 hours! The gold/silver ratio fell as low as 31 in April, and has now risen to 53 amidst a fundamental situation that could cause, at any time, the same massive physical shortages we saw in April, as noted above. Keep in mind we saw similar, widespread silver shortages in late September following “OPERATION PM ANNIHILATION,” proving PHYSICAL silver supplies will run out when PAPER prices are pushed too low ($26-$30/oz in September) or, conversely, when the aforementioned LONG-TERM resistance level of $50/oz comes into view. Yes, silver supplies can run out just as easily under conditions of widespread FEAR (the single largest PHYSICAL premiums EVER occurred in late 2008) as under conditions of GREED, as we saw just prior to the SUNDAY NIGHT PAPER SILVER MASSACRE, when silver was on the cusp of breaking through $50/ounce. As in the movie Dirty Dancing, silver will not be put in the corner for much longer, and when it finally comes out, will likely EXPLODE onto the global financial scene, likely with an impact dwarfing that of gold. I sense the WAITING game for silver is nearing its end, as perhaps the ONLY non-governmental official capable of moving the PM markets, Eric Sprott, appears to be preparing a massive bull assault on the white metal. I’ve followed him for years, and his tenacity, along with his partner John Embry, mirrors mine, with one important exception – he has the capital and influence to move markets. The $1.5 BILLLION shelf offering filed last week for the Sprott Silver Bullion Trust (PSLV) would represent 3%-5% of the INVESTABLE SILVER AVAILABLE IN THE ENTIRE WORLD, and don’t think he won’t pull the trigger if he smells blood. If he decides to “go for it,” investors will blindly listen, and I believe the ONLY factor clouding his decision is worries as to whether that much PHYSICAL silver actually EXISTS. Moreover, he TODAY issued the following “CALL TO ACTION” to silver producers the world round, urging them to withhold production for myriad reasons, particularly because silver is so cheap AND holding savings in PHYSICAL silver is far more beneficial to shareholders and SAFER than converting it to depreciating dollars held in teetering banks. 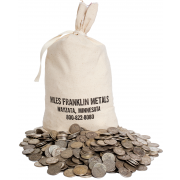 Yes, readers, if you have been straddling the fence regarding PHYSICAL silver ownership, NOW is the time to “get off the pot,” particularly in light of the news following in this RANT, which I’m guessing you can figure out per today’s title. Before I get to the big news, which as you can see is moving the markets tremendously, I want you to understand my thought process before I went to sleep last night. On Friday, the markets closed near their lows of the Fall, with nearly all financial stocks approaching their lows as well, amidst near-chaotic conditions in Europe and the resulting global domino effect, even in the “almighty, all powerful U.S.,” where several of its largest and most powerful banks, particularly Bank of America and Morgan Stanley, appeared on the cusp of Fall 2008 style collapses. Consequently, the PPT engineered a massive equity rally Monday on the heels of hype about strong “Black Friday” sales, which I have dismissed the past days as immaterial at best and misleading at worst. Today, I’ll chime in with an article providing further evidence that margins will be severely crimped by the rush to cram in as many sales as possible before insolvent consumers run out of holiday spending power. Despite Monday’s stock market mania, which as noted yesterday would have been far less memorable if not for the PPT goosing the Dow 70 points in the final five minutes of trading, financial stocks again sagged badly yesterday, particularly Bank of America and Morgan Stanley, which are clearly in big, big trouble. Aside from yesterday’s bankruptcy filing of American Airlines, the world’s fourth largest airline, we saw Bank of America, AMERICA’S LARGEST BANK, close at $5.03, just pennies above the “point-of-no-return” level of $5.00/share. Below that level, the stock is “non-marginable,” meaning any stock owned on margin would need to be liquidated. Such an event would be catastrophic for a teetering bank owned by many of the nation’s largest (and highly leveraged) hedge funds. Not to mention the myriad mutual funds with charters prohibiting ownership of stocks below $5.00/share. The original title of today’s RANT was “COULD WARREN BUFFET BE WRONG?,” as thoughts swirled of how to present ‘the Oracle’s’ hubris in dipping one too many times in the tainted “free money” pool. My thoughts were further reinforced when, after the market close, Bank of America and 14 other banks were downgraded by Standard & Poor’s, including JP Morgan, Morgan Stanley, Citigroup, and Goldman Sachs. Some are getting dangerously close to junk levels, by the way, quite ominous given that S&P is “owned” by the TBTF banks. …and I went to sleep thinking “what will TPTB do to save Bank of America tonight,” at this point THE MOST IMPORTANT STOCK IN THE WORLD? However, I was certainly not prepared for what occurred this morning while at the gym, even if the day started with this “first shot across the monetary bow,” an easing of Chinese monetary policy. In recent RANTS, I have continuously highlighted the failing Chinese economy, particularly its housing and manufacturing sectors. China is NOT immune to the financial malaise affecting the Western world, particularly given its penchant to print MORE money than any other Central Bank to main its peg with the dying dollar. The Chinese stock market is dangerously close to falling to the lows seen during GLOBAL MELTDOWN I in late 2008, and thus it was obvious the PBOC needed to “cut the crap” regarding its machismo attempt to raise reserve requirements earlier this year. China is still a communist country with nearly two billion mouths to feed, and you can bet they will cry “UNCLE,” just like all the other world’s Central banks, when push comes to shove. Which is EXACTLY what they did this morning. OK, still at the gym at 5:30 AM EST. Looking up momentarily from reading James Clavell’s Gai-Jin on my Kindle, I saw the Dow Futures suddenly bolt upward from +50 to +250 in a matter of seconds, and with it gold by roughly $20/ounce. Flashing across the CNBC screen was “Breaking News – Central Banks lowering pricing of U.S. Dollar Swaps,” per the link below. The Federal Reserve along with the European Central Bank, Bank of Canada, Bank of Japan, Bank of England, and the Swiss National Bank are all lowering their U.S. dollar swap rates by 50 basis points! This is going to create massive worldwide monetary inflation and flood the world with U.S. dollars! It was also announced this morning that arrangements have been made to establish temporary bilateral liquidity swap arrangements so that liquidity can be provided in each jurisdiction in any of their currencies should market conditions so warrant. Although the Fed said, “there is no need to offer liquidity in non-domestic currencies other than the U.S. dollar” at this time, the stage is now set to create massive worldwide monetary inflation in other fiat currencies as well. The whole entire global fiat currency system could soon come to an end. 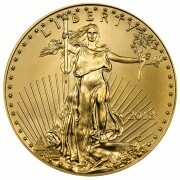 The only solution to the upcoming hyperinflationary crisis will be a global digital gold backed currency. NIA believes China will soon announce that they have dramatically increased their gold holdings to backup their rapidly growing foreign currency reserves, which have now reached $3.2 trillion. China’s central bank just announced this morning that they are lowering their reserve requirement ratio by 50 basis points to 21% from 21.5%! We’ll probably never know EXACTLY what prompted this MASSIVE overnight collusion of essentially EVERY major Central Bank, including the FED, ECB, BOJ, BOE, SNB, BOC, and, by proxy of their reserve requirement reduction, the PBOC. My initial thought was Bank of America’s inevitable early morning foray below $5.00/share, but perhaps something WORSE in Europe, such as an IMMINENT BANK FAILURE. Irrespective, no matter how much the Dow gets goosed by the PPT (as was the case Monday and again today), the European contagion is rapidly spreading worldwide, yielding the same pattern of exponential money-supply growth and intensifying market manipulation EVERYWHERE! Did A Large European Bank Almost Fail Last Night? Before I conclude, I want you to see how PERVASIVE and METHODICAL the PM markets are managed, PARTICULARLY during moments of maximum stress, such as today. I have long-discussed the Cartel’s 2% upper limit to daily gold appreciation, which has been successfully implemented on MORE THAN 99% of ALL TRADING DAYS OVER THE PAST DECADE. Yes, gold has been in a bull market for eleven straight years, but on less than 1% of all trading days has it closed more than 2% higher. Readers, the reason for today’s title, “MY MOST IMPORTANT MESSAGE YET – HYPERINFLATION AT THE STARTING GATE, SILVER BUCKING AND SNORTING WITH ANGER” is my belief the world’s central banks today showed their full hand. Despite the mumbo-jumbo lingo describing their actions in terms of “U.S. dollar swaps,” make no mistake this is GLOBAL QUANTITATIVE EASING under a different name, initiated in a state of sheer desperation. It’s quite clear systemic stress has become so great (most of it hidden from view) that an all-out monetary assault is being undertaken from ALL CORNERS OF THE GLOBE to counter it. The problem, of course, has NOTHING to do with liquidity, but INSOLVENCY, so all this exercise in futility will accomplish is accelerated inflation and, more likely, hyperinflation. Don’t worry, the bankers understand this completely (with the exception of Helicopter Ben, I’d bet), but to maintain their POWER and buy themselves time to convert their own fiat currency into Precious Metals, this is their only choice. Will this foray fail as miserably as the prior three years’ worth of MONEY-PRINTING efforts, such as this one from earlier this year? 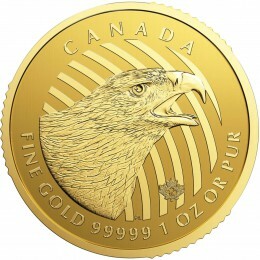 I do not know, but one thing I am 100% POSITIVE of is that, no matter what happens, PHYSICAL gold and silver are destined to rise more than ANY asset class in the HISTORY OF MANKIND, and today’s announcement could very well be the catalyst supporting the next leg upward, in which gold finally passes $2,000/oz and silver $50/oz, FOR GOOD! Remember, today’s market action is based primarily on GREED, but as Yoda so wisely said in Star Wars, “Greed leads to FEAR.” It is FEAR that TPTB fight so desperately to prevent from overtaking the masses, but FEAR will not be deterred, no matter how hard they try. Great work. Thank you for sharng. Thanks so much, my goal is to get you to 100% agreement!